Outnumbered and stranded in enemy territory, Nao is forced to fight his way out before the Mafufgumi Godfather takes the deal off the table. As his wounded enemy’s heartbeat slows, Nao must act fast or condemn his syndicate to a brutal war. The Yakuza Path: The Deafening Silence is the third book in a series of Japanese mafia thrillers. If you like twisty action, authentic settings, and a touch of gay romance, then you’ll love Amy Tasukada’s pulse-pounding series. 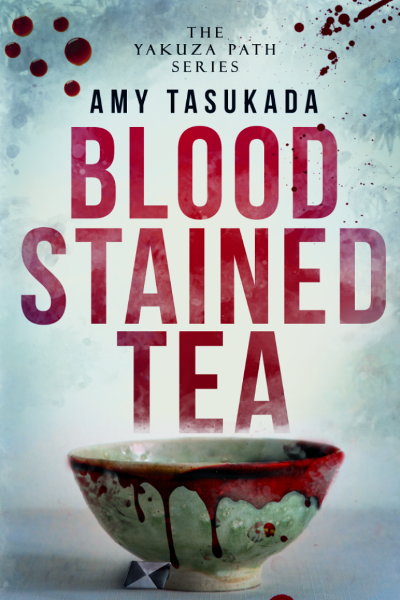 Since my first introduction to Nao Murata in the bloody and absolutely brilliant first story in this series, Blood Stained Tea, I’m almost confounded by my deep emotional involvement in the welfare of someone who is admittedly a murderous psychopath, one who’s barely contained rages have seen him want to spill the blood of dozens, often by his bare hands or any implement nearby. But this is Japan, centuries old with ancient traditions and a culture to match. All built with such subtle nuances and layers that can shield or hide behind. Just as its many characters demonstrate with their personalities. Tasukada clearly loves and understands Japan in all it’s natural and historic beauty to the gritty darkness of the Yakuza underworld. It has all figured in greatly in this series as both the foundation, setting, and emotional framework for it’s characters. Kyoto, Nao’s personal passion can stand in as another character all its own. All those layers are built into the labyrinth personality of Nao as well. Part of the reason for his murderous rages and psychotic breaks? That can be found in the horrendous death of his first lover, perhaps his only love, at the hands of a rival gang boss. It broke him, and whatever way he mended was not rational. Of course, it doesn’t help that he was the son of the rival Yakuza gang and was already familiar with a brutal way of life. But the dichotomy here is that the author shows us repeatedly another man. One who loves his cat, and his tea, and who once wanted only to flee with his lover…. That is the one still seen occasionally, one the reader is still privy to his thoughts, when the rages are quiet. Nao is a narrative tour de force. Scary, memorable, everchanging, especially since he become the head of the family. He needs to navigate the Korean crime families constant infiltration of Kyoto, manage his Yakuza’s many businesses and shaky alliances, all while reporting to the very top of the Yakuza boss who doesn’t trust him. All while his mind seethes and surges like a red tide within him calling him to kill. And at his side is another character who has shown incredible growth over the series,Aki Hisona, Nao’s personal secretary. Aki loves Nao, a terrible fate as everyone who has cared for Nao has died, horribly. The reverse has also held true. Everyone Nao has loved has died as well. Nao has become convinced that the city of Kyoto has killed them. A jealous mistress indeed. This is not a romance. Don’t even begin to look for one. This is a brutal, bloody, gritty tale of crime, murder, culture, and a Yakuza crime family you can’t turn away from, starting at the top. Amy Tasukada writes so beautifully, so skillfully here that just a twitch, a slip in a conversation sets off an avalanche of foreboding. Everyone here is playing a game, some are merely good at it, some are masters, you have to read the story to find out who is playing the long game. There is betrayal, untold amounts of bloodshed, and complexities beyond belief. I expect nothing less from Nao and his gang and from this author. I was astonished at Aki. The author informs us at the end it will be a while until the next release as she wishes to “get it right”. She has never, ever, gotten it wrong yet. I would wait years for the next in this series if I had to. It’s troubling, brilliant, and there’s no way I can predict the path going forward. For any of them. So yes, I’m obsessed. So hopefully it won’t be terribly long for the next installment, maybe end of next year. I absolutely recommend this story and all the others in the series but they must be read in the order they were written. Line them up like the narrative finds they are, and then devour them. Just don’t expect any romance, unless it’s Nao’s love for Kyoto and even that comes with it’s own layer of pain and angst. 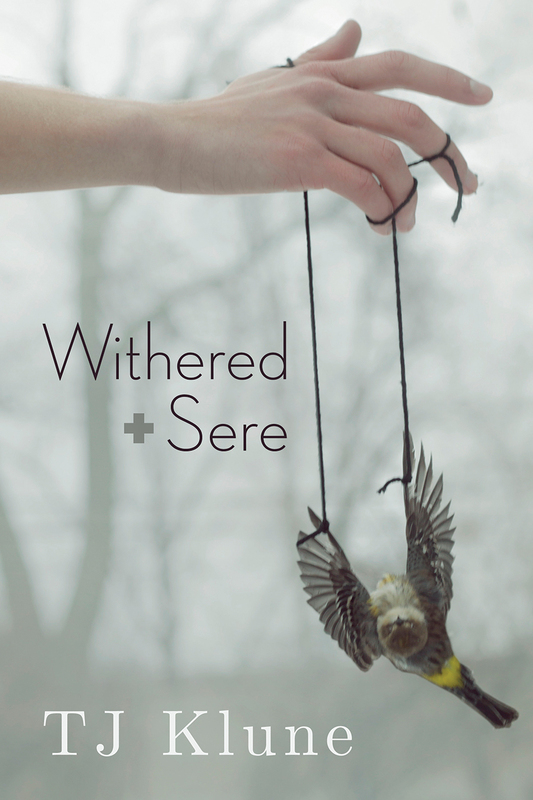 Cover art by Natasha Snow. I’m in love with these covers. Simple, bloody, perfection. This entry was posted in 5 star Rating, Book Reviews, Books, Contemporary fiction, eBooks, LGBTQ Book Reviews, M/M Book Reviews, M/M Contemporary Fiction, M/M Fiction, Uncategorized and tagged A MelanieM Highly Recommended Novel and Series, A MelanieM Review:The Deafening Silence (The Yakuza Path #4) by Amy Tasukada, author Amy Tasukada, crime/suspense, graphic violence, not a romance, The Deafening Silence (The Yakuza Path #4) by Amy Tasukada, The Yakuza Path series by Amy Tasukada. Blaine Ayers and Lloyd Thomas are identical twins — separated at birth, reunited by accident, and serial killers by choice. Two men, posing as one. Steve Cooke is a private investigator married to Gary Drake-Cooke, an interior decorator. The four men’s paths cross when Blaine and Lloyd move into a house across the street from Steve and Gary. What happens next has the potential to change their lives forever — for better or for worse. 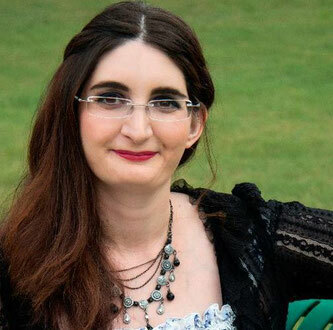 Warning: This story contains scenes of graphic violence. You know, what, as short as this book is I think it was great – I think it had more potential if it were a bit longer and more in depth on the past of each of Blaine and Lloyd, I would have liked to see a bit more in that aspect. It’s typical reasons serial killers exist – anyone who has seen criminal minds will understand. I liked the neighbor detective and his want to find out what’s going on – I enjoyed reading about his husband. If you want a hot and heavy romance this is definitely not the book for you – there’s none of that in this book and honestly I was OK with that – it fits more with the story than if it had a steamy romance. Once you get to about halfway things really start to get interesting, and I really couldn’t put it down. Not going to go into much detail due to the nature of the book – hello thriller – but I enjoyed it immensely it was exciting and kept me engaged. I do think it reads like an episode of criminal minds which, of course, who would hate.Nature vs Nurture. Cover Art: Other than the cover being twins it really doesn’t lead to the story – not mad at it though, perhaps a bloody item would make it more dynamic! This entry was posted in Book Reviews, Books, Contemporary fiction, eBooks, LGBTQ Book Reviews, M/M Book Reviews, M/M Contemporary Fiction, M/M Fiction, Uncategorized and tagged An Ashlez Recommended Story, An Ashlez Review: Murderous Twins by Edward Kendrick, author Edward Kendrick, JMS Books LLC, M/M Crime Fiction, Murderous Twins by Edward Kendrick, not a romance. Book Synopsis: When a little boy ends up missing, his parents’ lives are turned upside down and inside out. But the relief that comes when the boy is found is marred by the appalling truth that comes to light. As Shelley tries to be strong for her son while holding herself together, things spin out of control. While Sean’s worry of how his homosexuality might be used as a weapon to keep him away from his only child in light of the abuse he has suffered, is realised. And will Jason speak up against his abuser or has this one event struck him mute forever. The blurb of this book is very misleading. While I enjoyed the book so I didn’t really mind the misleading blurb but this book is actually about a child who is sexually abused and how this impacts his life and the lives of those around him. Sean being gay though deliberate on the part of the author is just another nuance to the story because this book is not about Sean being gay it is about Sean, a father whose son has been very brutally abused. Now where this blurb is misleading is in the fact that I thought the events in this book would be narrated as per Sean or Austin’s POV or from their perspective. But this book has multiple POVs including those of Shelley (Jason’s mother), Paul (Shelley’s husband), Estelle (Shelley’s mother) along with Sean, Austin and Jason and all of them are equally important characters, if not more. Especially Shelley we spend quite a lot of time in her head. This is also not a romance story and doesn’t focus on relationships outside of how this adverse event puts a strain on them. This story is about one horrifying precipitating event that leads to a chain of reactions that propels the characters in this story. My one problem with the plot was the multiple POVs because as it so happens in multiple POVs the moment the narrative of a particular character becomes interesting we flip to another character who can’t add anything to the interesting titbit we just learned. This book is a story of people under insurmountable anguish who must learn to live their lives all over again and how our actions at the time of adversity can have irreversible consequences. The characters in this book have a really gritty feel, like the reality of their situations makes itself known on the surface itself. As such the book focuses on a lot of people other than aforementioned six and we get to see their perceptions and motivations as well. As such I see why multiple POVs work for this story as it helps to increase the scope of the story as well as to realistically portray the extent of damage one wrong thing can produce. Also I loved how we got two perceptions of people one of how they perceive themselves and one of how they were perceived by people who knew them and in some cases an additional third of how a casual bystander perceives them. This story is riveting, once you start the book it is hard to stop in between as the story twists and turns with subtlety through the wide landscape of havoc that descends on the lives of two parents who love their son immensely. A word of caution while reading this book is that you will need to keep an open mind and also the fact remains that this book is most definitely not a romance; it is more of a thriller with slight bits of mystery and suspense. Cover Art by Aaron Anderson. I liked the cover a lot it aptly portrays the dumb horror of what the story holds in store for you. 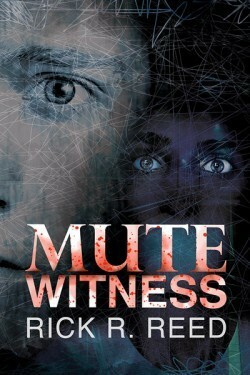 This entry was posted in Dreamspinner Press, eBooks, LGBTQ Book Reviews, M/M Book Reviews, M/M Contemporary Fiction, M/M Fiction and tagged A VVivacious Highly Rated Story, A VVivacious Review, A VVivacious Review: Mute Witness by Rick R. Reed, author Rick R. Reed, child abduction and sexual abuse, child sexual abuse, DSP Publications, M/M Thriller/mystery, Mute Witness by Rick R. Reed, not a romance.